Send Lisianthus anywhere in Ireland. The lisianthus is so stunning, it’s often mistaken for a rose. 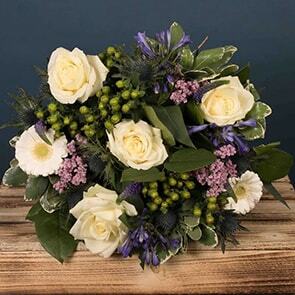 At Bloom Magic, we frequently include this beautiful bloom in our hand-tied bouquets, both as a focal flower and as an accent, providing a touch of elegance to anything it’s paired with. 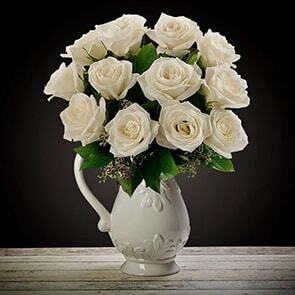 Our dedication to quality and to using only premium fresh-cut blooms in our offerings ensures that each arrives in breath-taking condition and remains vibrant for a full week. 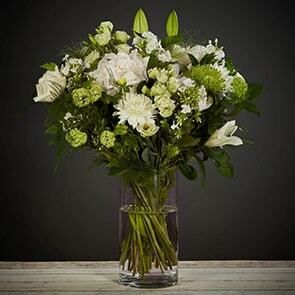 Take advantage of our next-day flower delivery Ireland or same-day flower delivery Dublin and have a stunning lisianthus bouquet arrive just when you need it most. Whether in pure white, romantic red, stunning blue, or any other hue, the lisianthus is a truly remarkable bloom. 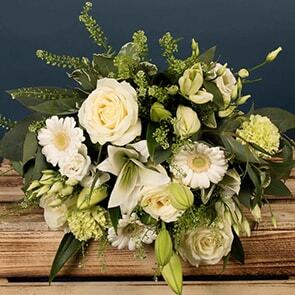 You’ll find it in many of our bespoke bouquets, each designed exclusively for us by Ireland’s top florists. 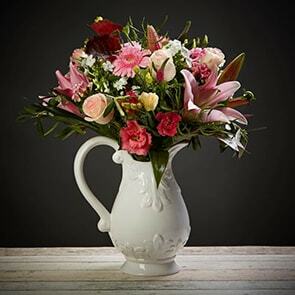 We maximise a natural presentation by eliminating excess packaging and provide the freshest arrangements by using locally-sourced blooms whenever possible, so you’ll always receive a stunning bouquet, no matter which of our offerings you select. 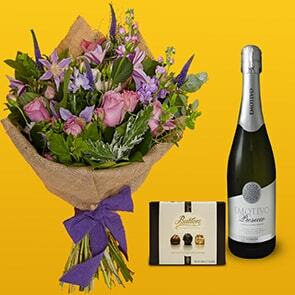 If you’d like to further customise your gift, consider adding an assortment of delectable chocolates or tasteful vase. Notecards are also on hand to share your sentiments with the recipient in your own words. We understand that your gift represents you and needs to leave a lasting impression. This is why we focus on even the smallest details, ensuring that all our bouquets are of the finest quality and that they arrive precisely when you need them to. To demonstrate our commitment, we provide an unconditional quality guarantee with all our offerings, and we make ourselves available via live messaging on the site, phone, and email, so assistance is always at the ready should you ever need to reach out. Contact us now for any queries or place your order with confidence, knowing we’ll treat your request with the utmost care and concern.